Take advantage of free activities - Before spending money on fancy excursions, why not see if there are any free entertainment options along your route or at your destination? The U.S. is filled with so many amazing (FREE) parks, museums, beaches and more. Bank of America offers members who present a debit card and a picture ID on the first full weekend of every month one free general admission to select museums. Purchasing an America the Beautiful Pass is also a great option for people who love exploring our nation’s national parks. For just an $80 annual fee, the pass is your ticket to more than 2,000 Federal Recreation sites across the U.S. Consider going off the grid - If you think about it, it’s a no-brainer that RVing saves huge costs on lodging compared to hotel stays. But, it’s still important to consider the cost of where you’re parking your RV every night. Some campgrounds charge upwards of $30-50 per night, so if you’re looking to save a buck try free camping, also known as boondocking. If you’re not familiar with boondocking, it’s essentially camping without any hookups on public land (usually far out in nature, in someone’s driveway, or even in a store parking lot). If you enjoy going “off the grid” or a more primitive camping experience - boondocking might be a great money saving option for you! Check out Boondockers Welcome to find your perfect boondocking location. They are essentially the AirBnB of boondocking and our readers get $5 off the Guest Privileges Subscription using the code RVTRADER5OFF. Create a budget - The last thing you want to do while adventuring is plan a budget - but planning ahead can save you some serious cash in the long run. 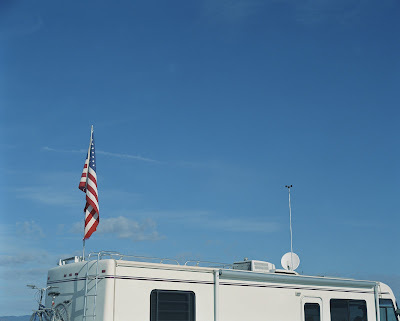 Before creating your RV travel budget, you should consider what you currently spend at home and how those costs might translate while on the road. It’s important to realize that everyone’s needs are different, therefore everyone’s budget is going to look a little different. Once you have a solid budget in place, it’s also a great idea to have some funds tucked away for any maintenance issues or unexpected expenses that might (and often do) pop up while traveling. 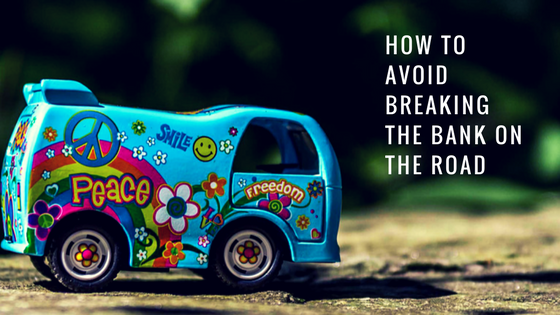 Save on gas - Gas is one big expense that can’t be avoided while RVing - but we’ve found a solution or two to help minimize that cost. 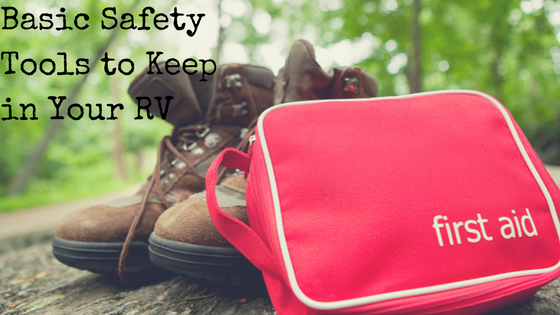 First and foremost, it’s crucial to make sure your RV is tuned up and in top running condition to help maximize fuel efficiency. Once you’re out on the road, there are many fuel related apps that can help save you money at the pump. GasBuddy is a popular app that can help you find the least expensive gas along your route - and when filling up an RV, every penny saved helps! It’s also a good idea to consider different types of gas cards that might work for you - we all love a great discount!